SINGAPORE, 25 January 2019 – The two winners of the ninth instalment of Singapore Changi Airport’s annual shopping promotion ‘Be a Changi Millionaire’ were announced yesterday evening at Crowne Plaza Changi Airport. 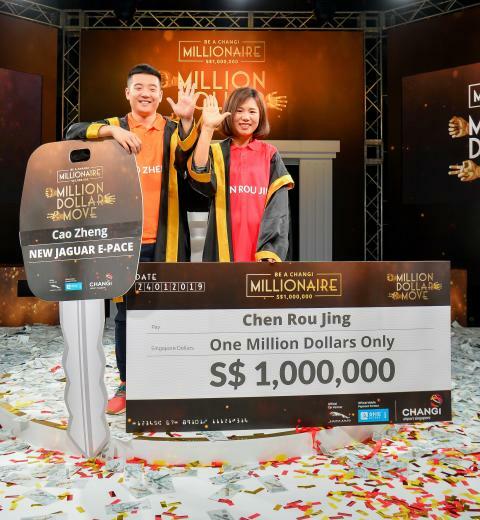 Chen Rou Jing, 34, from China, was crowned the lucky winner of the S$1 million Grand Prize, while a brand-new Jaguar E-PACE SUV was won by Cao Zheng, 24, from China. Building on this year’s campaign concept that ‘Luck is Everywhere’ at Changi Airport, a total of 14 finalists competed for the top prizes in the ultimate showdown of luck: the universal game of Scissors, Paper, Stone. At the grand finale, eight finalists challenged one another for the million dollars, and six finalists contested for a Jaguar E-PACE SUV. Finalists from each category were first grouped into pairs and blindfolded before battling it out in a preliminary round of Scissors, Paper, Stone on stage, where the winners advanced to the next round. After several elimination rounds, the last two finalists faced off in a deciding round where the ninth Changi Millionaire and the owner of the new Jaguar E-PACE SUV were crowned. 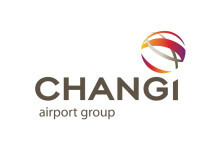 To participate in the ‘Be a Changi Millionaire’ Draw, passengers and airport visitors simply needed to shop or dine at Changi Airport and spend a minimum of S$50 in a single receipt. One lucky finalist was picked each month from May to October 2018 for the Grand Draw, with two others picked from qualifying shoppers on iShopChangi and the Platinum card members of the Changi Rewards loyalty programme. In addition, six other car prize finalists were also drawn from shoppers who made purchases of more than $500 in accumulated spend in a single day. The latest draw received more than 1.4 million entries from 212 nationalities, with the top three groups of participants from Singapore, China and Indonesia. The 10th edition of ‘Be A Changi Millionaire’ will be launched later this year as Changi Airport gets ready to reward shoppers with a year-long campaign. More details will be revealed soon.